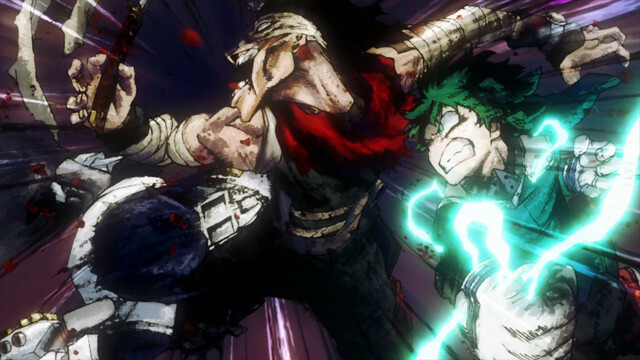 Today we'll explore how My Hero Academia translated the visually chilling hero killer arc into animation! Hey all, and welcome back to Why It Works! 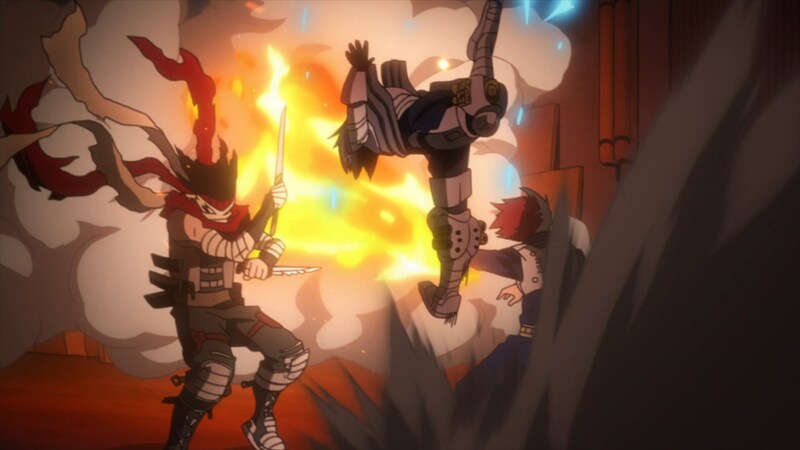 With the hero killer arc having just wrapped up, I figured it was about time to talk about My Hero Academia once again. 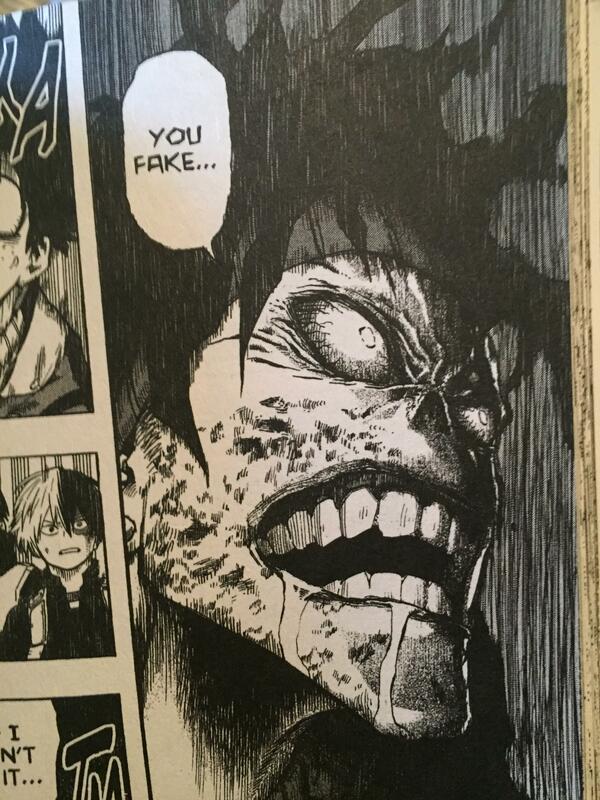 To be frank, going into this arc, I was pretty worried the anime wouldn’t be able to pull it off. 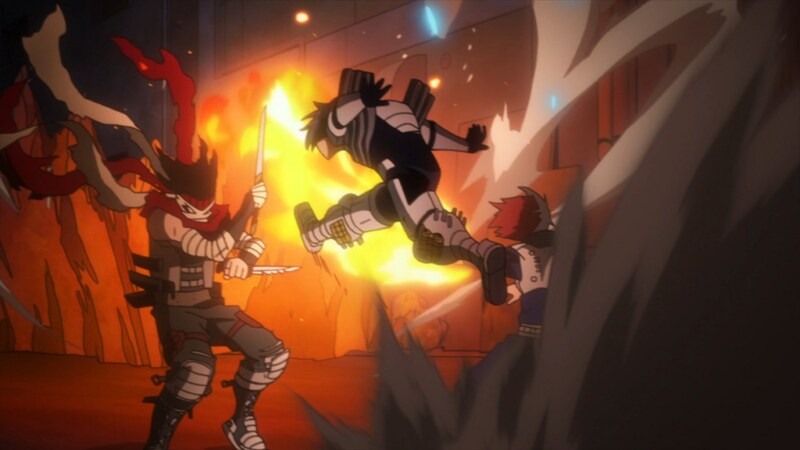 In manga form, the hero killer arc was actually one of my least favorite My Hero Academia arcs - I didn’t find Stain to be too exciting of a character and I felt like the choreography of the arc’s climactic alley battle was pretty muddled. 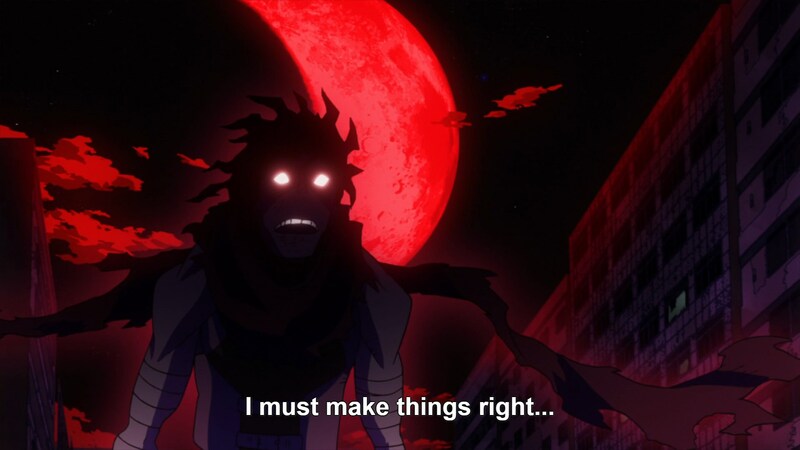 The one thing the Stain arc did have was one of the My Hero Academia manga’s most consistent strengths, and one of the most difficult things to translate into anime - terrific, vividly detailed single panels. 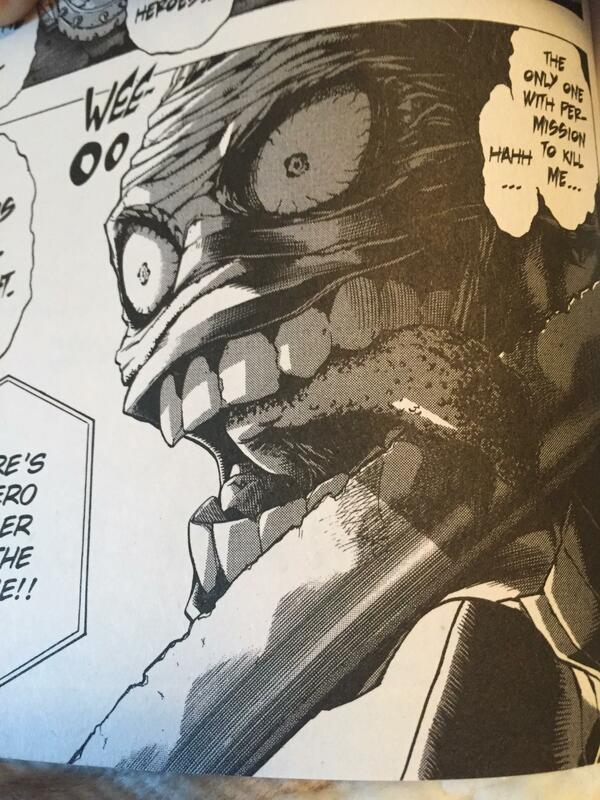 Kohei Horikoshi is an extremely talented artist, and he often demonstrates that talent not through explosive fight scenes (though there are certainly plenty of those), but terrifying character closeups. 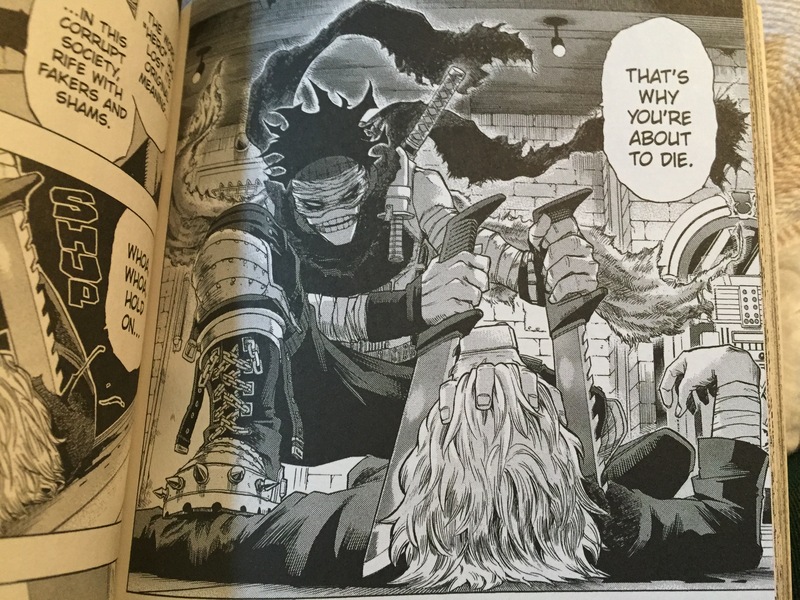 Horikoshi’s highly detailed shots of villains in their element often sell their sense of presence more deeply than any of their words or actions. He’s able to dip into horror story territory with his villain designs, conveying their menace in a visceral sense even through a single image. Anime, unfortunately, can’t really replicate this. 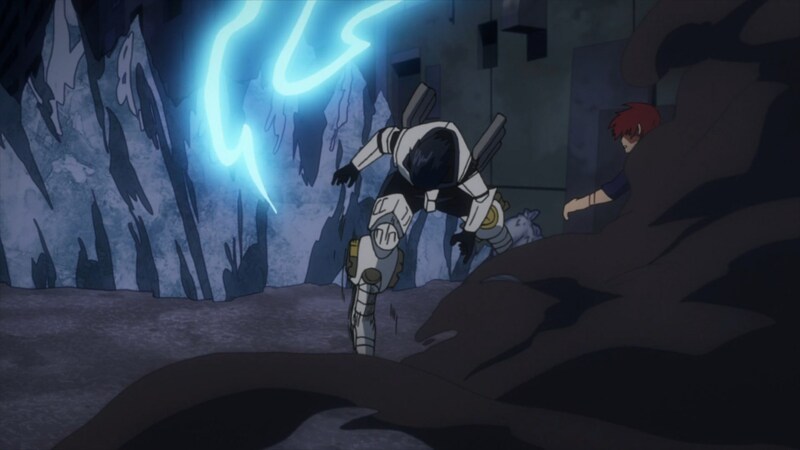 It can try (and the My Hero Academia anime is certainly fond of cribbing panels directly from the manga), but the detail of linework and precise contrast of black and white comics just can’t be perfectly carried over to a medium that demands movement-friendly designs. The hero killer arc’s reliance on its terrific individual panels made me fear the anime would come across as dramatically flat. 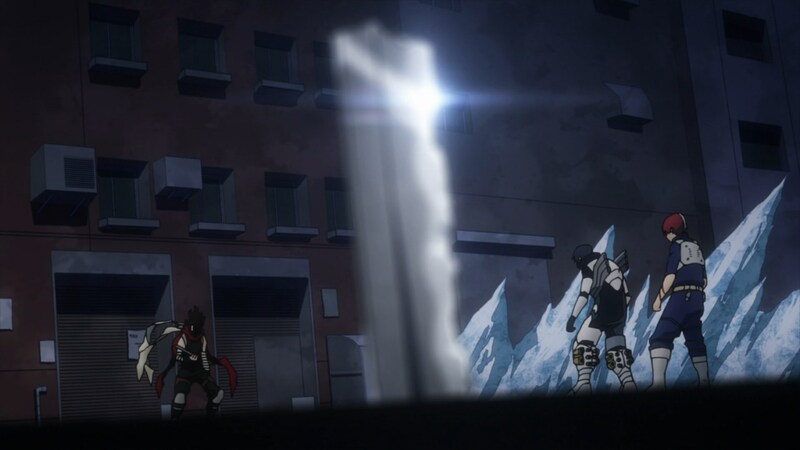 Instead, the opposite turned out to be true - by using the very different strengths of anime as a medium, the hero killer arc actually eclipsed its manga source. 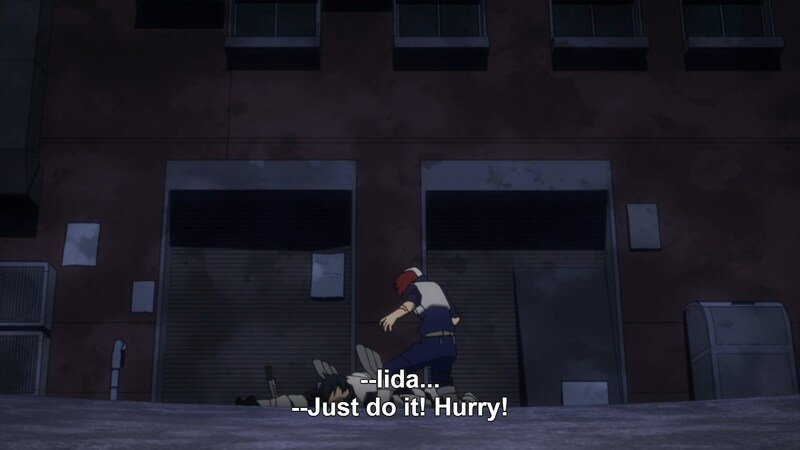 First off, one of the principal strengths of the anime version is that it’s, well, animated. This seems obvious, but it’s interesting to see how the same concept plays very differently in still images versus motion. 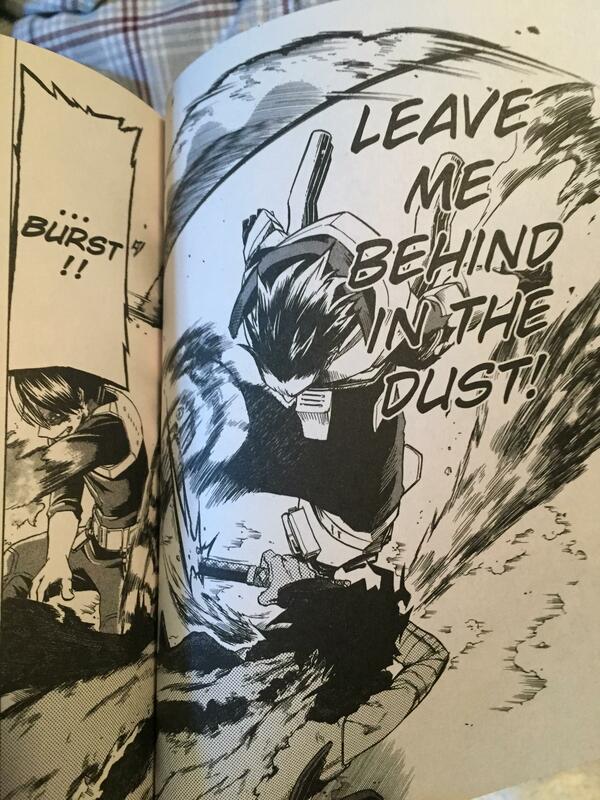 I’d expect something like Iida’s powers, which rely heavily on a single moment of impact, to actually shine in manga form. 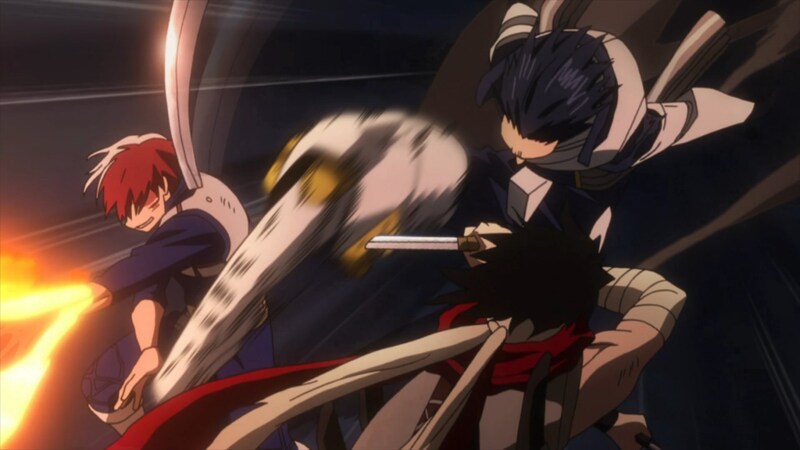 But comparing the same moment directly, the original evocation of this kick feels a little incoherent - the relationship of bodies in space is difficult to parse, and all we really get is “Iida kicked hard.” In animation, even though the sequence begins with a direct copy of that panel (which is already cleared up through the use of color), there’s a clear sense of setup and follow-through on his spin, keeping things both weighty and visually coherent. 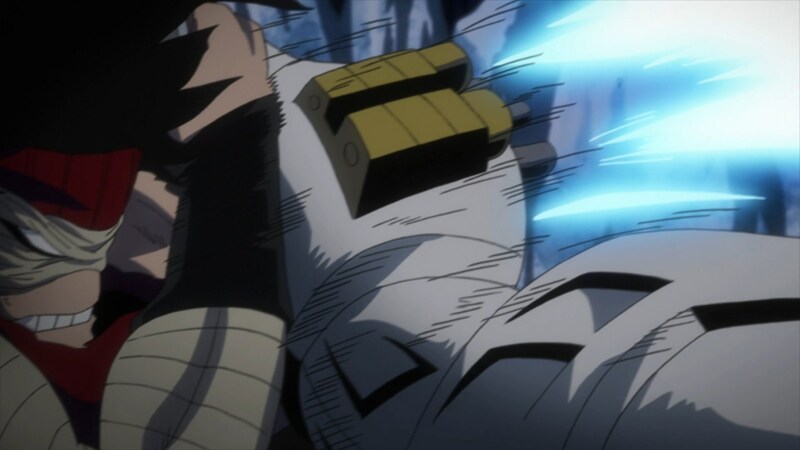 “Coherency of action” is one of the central ways the My Hero Academia anime was able to polish up that alley fight. 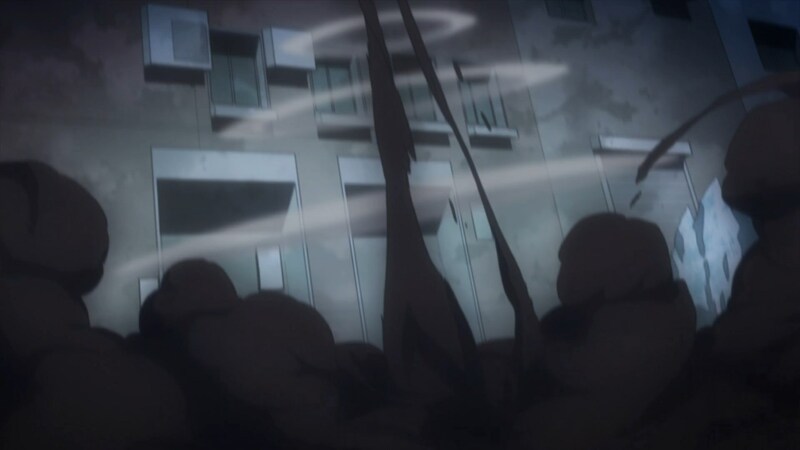 While the manga’s sequential panels kept us close to the characters involved, they didn’t necessarily give us a sense of the alley as an actual place, where all the characters have different spacial relationships to each other that define their ability to combat Stain. 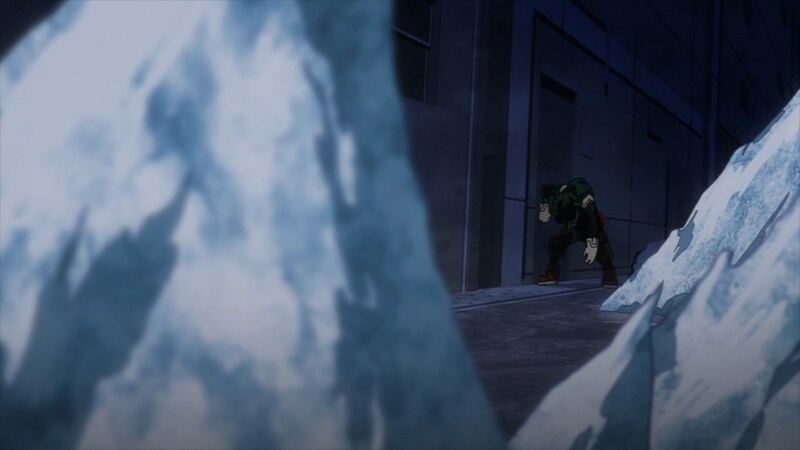 In anime, the ability to actually “pan the camera” means there’s a clear sense of visual continuity - Iida’s over here, Midoriya’s over there, and the distance between them is ruled by Stain. By allowing us to better understand the spatial relations between these characters, we’re better able to invest in the tactical urgency of controlling the battlefield. 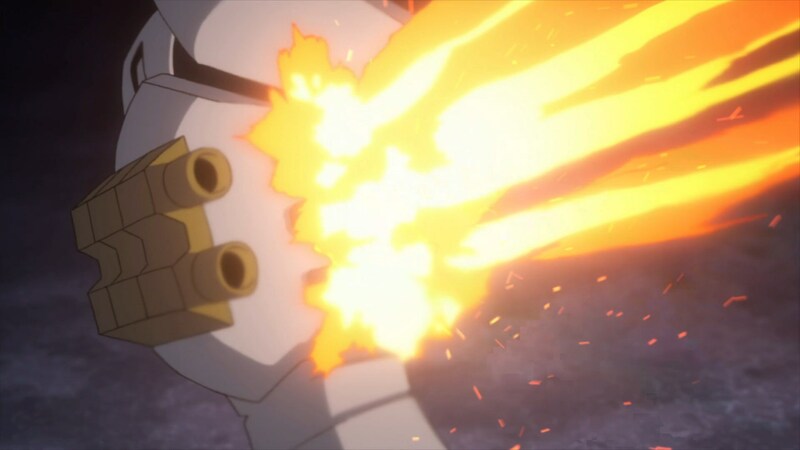 The fact that anime is framed from a “camera’s eye” also helps in other ways, like using post-processing techniques to convey physical effects impacting the “lens.” Both Iida’s jet engines and Todoroki’s fire abilities benefit greatly from the use of soft focus, which naturally evokes a sense of intense heat or camera "shakiness." 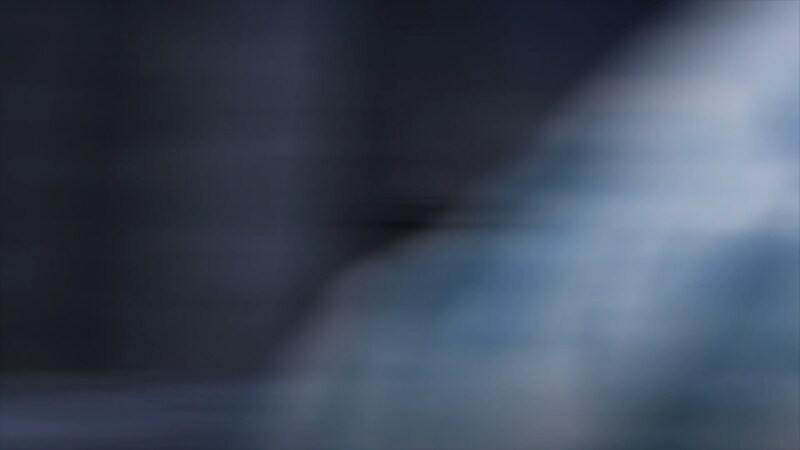 Soft focus also allows the camera to "cheat" on creating a sense of depth, by adjusting the relative focus to create the sense of a real physical space. 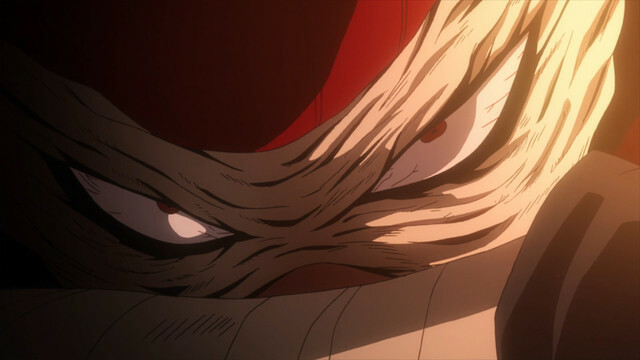 And of course, even if Stain’s visual presence isn’t quite as imposing in animation, the advantage of voice acting and music mean his presence can be conveyed through dramatic orchestral strings and meaty, imposing voice work. 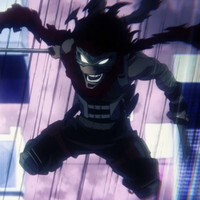 Stain’s last stand marries the strengths of manga and animation, creating a two-tone visual palette to illustrate a sequence of shots that feel like manga setpieces. 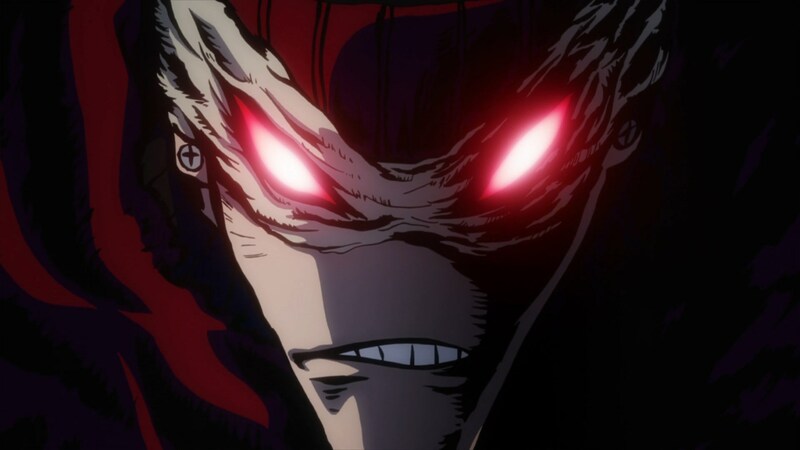 In contrast with the manga’s black and white, the anime is able to lean into a black and red color palette that evokes Stain’s literal bloodthirst, hammering in the intensity of the moment. 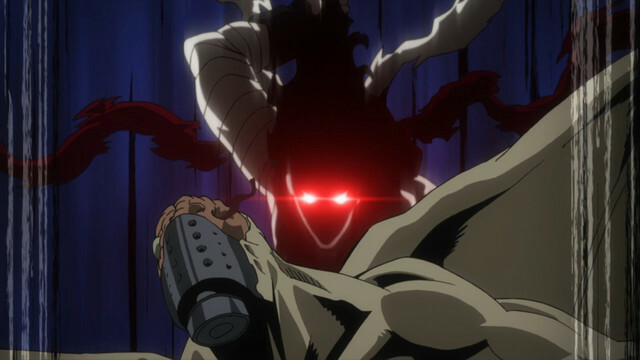 By letting the red of his eyes and cloak become a filter over the entire screen, the anime wordlessly conveys the extent to which his presence overpowers his opponents. 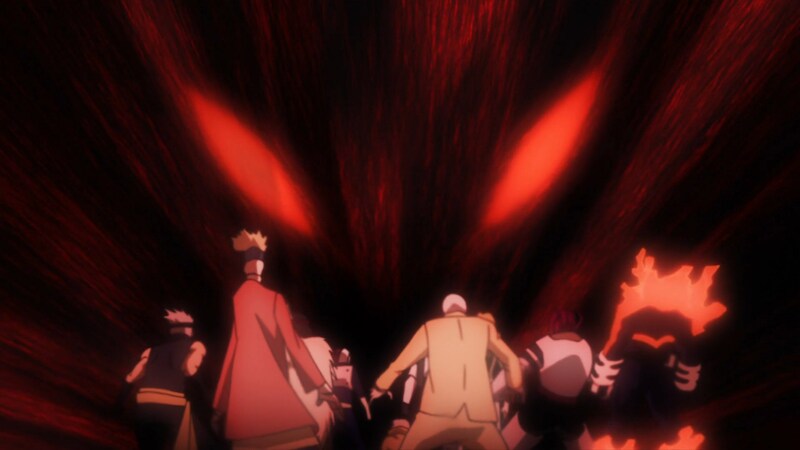 It’s always hard for an anime adaptation to live up to a visually powerful manga. But if you lean into the strengths of the new medium, you might arrive at something even better.